Russia’s UTair Airlines has started operation of two Sukhoi Superjet 100 (SSJ100) regional aircraft with crews it took from Irkutsk-based carrier IrAero. On April 14 two aircraft (tail numbers RA-89075 and RA-89077) relocated from Irkutsk to Moscow’s Vnukovo airport. UTair, country’s fifth largest carrier, explains its choice of the aircraft by SSJ100’s operational efficiency on short-haul routes. The two 100-seat aircraft operate three daily flights from Moscow to Kazan, and fly once a day to Arkhangelsk, Ulyanovsk and Nalchik. The partnership with IrAero is based on cooperative model, UTair explained to Russian Aviation Insider. 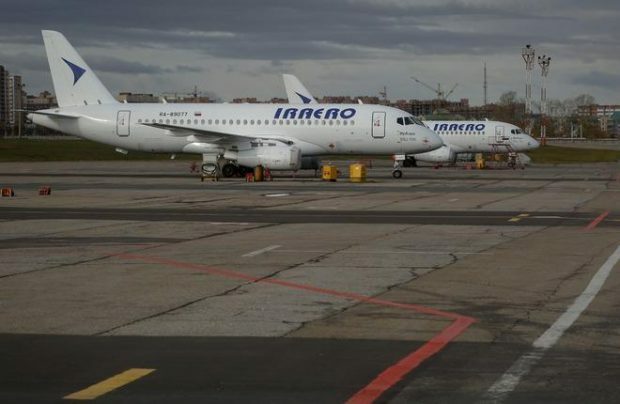 UTair manages the aircraft, whereas IrAero operates them. Irkutsk-based airline currently has eight SSJ100s and operates five of these, including the two it now flies for UTair. Russian Aviation Insider learned that two more aircraft are currently stored in Kazan. UTair planned to purchase six SSJ 100s in 2013, but scrapped these plans in cost-cutting initiative following 2015 Russian financial crisis.